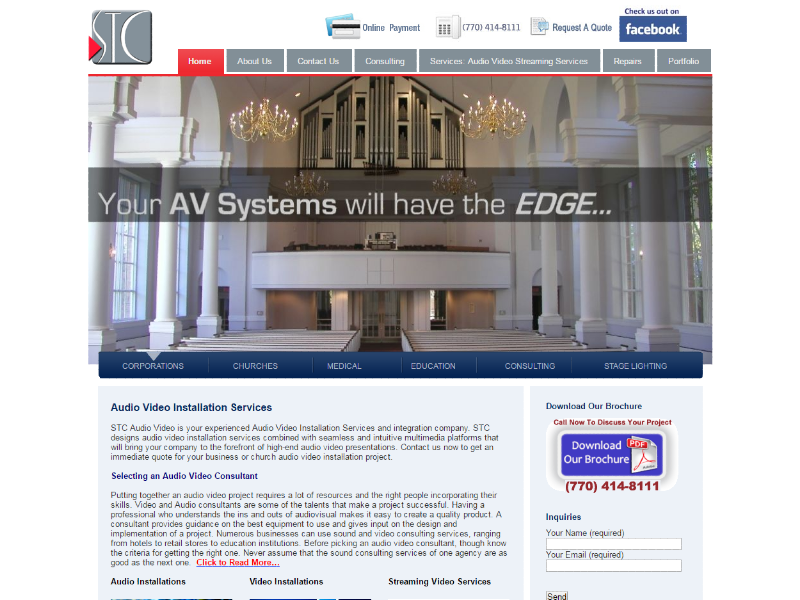 STC of North Georgia is an audio video instalation and training company based in Tucker, GA. 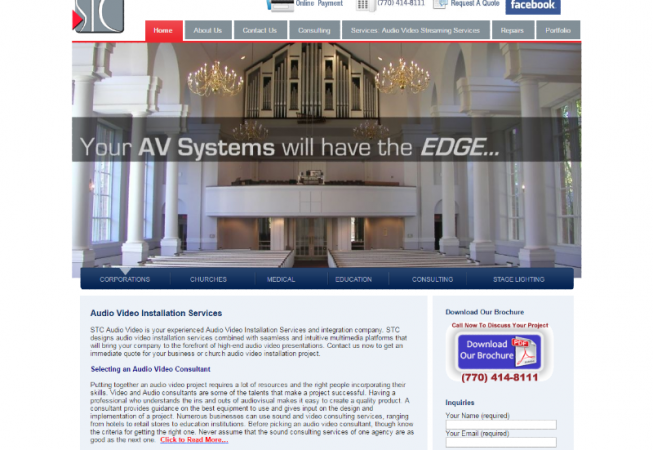 They provide high-end audio video design and installation services in the Metro-Atlanta area. The client already had an established web presence and needed a revamp to reflect their new services and direction. Another developer began a project with them and left them high and dry using a proprietary platform. They liked the design of the in-development site so I created a PSD and created a WordPress theme based on that design and built the site on WordPress. The design reflects the clean, contempory yet conservative nature of the business. The site is also being optimized for the search engines and visitors and calls continue to grow. Marc Connor is an online presence manager based in Atlanta, GA that builds and markets WordPress websites. He also does WordPress training, I.T. consulting, & PC virus removal. @ColeBaySDA follow me so I can message you. Have to confirm some things.